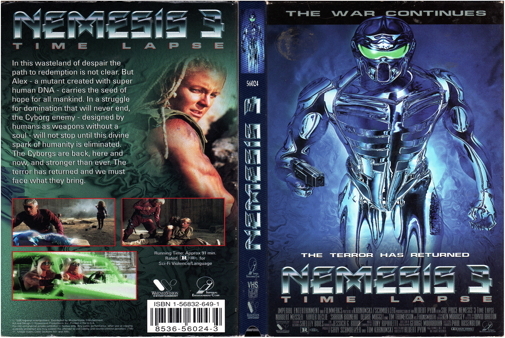 Using footage left over from Nemesis 2, Alex is again fighting the cyborg mercenaries in 1998 East Africa. This time, Alex finds that she has 20 half sisters who are waiting for her to return to 2077. Central Command wants Alex captured alive and scanned to see if her DNA is a strong and more powerful strain than the normal. But Alex may be too tough to capture.